In this post, I am going to take a break from thrilling road trips and breathtaking sceneries of travel and try to address the boring aspects of travel. Let’s discuss shoes! What are the best travel shoes in India? Why is it important and what is so specific about traveling in India? Since the inception of this blog, I have been writing useful guides for exploring places in limited time and budget. But there are many other important aspects of travel, beyond itineraries and accommodation. Decisions on travel insurance, things you pack, things you forget to pack, the shoes you wear, the checklist you maintain– there are many such non-trivial aspects which can make or break your travel experience. Having done most of our traveling within our country, we felt that we should be having a few posts which are related to the kind of specific challenges that are unique to the kind of weather and terrain involved. The challenges “behind the travel scenes” is what I would like to call them. This is the first of that series. We are talking about the best travel shoes for traveling in India and the Indian sub-continent in general. When it comes to shoes, I have an expert at my home who is not only passionate about shoes but have actually worked in that area with one of India’s leading online retailers. 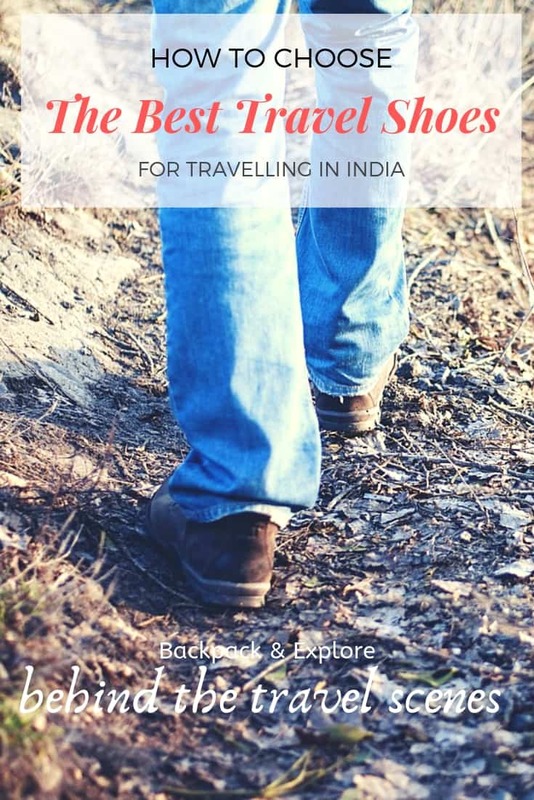 So for this post, I welcome the expert, my life-partner Chayan to share his tips and picks of best travel shoes in India. The only section I have covered here is for women’s sandals. How to choose the best shoes for walking all day? To set the context, the majority of India is hot (temperatures ranging from 20 – 35 degree Celsius) for more than 9 months in a year and slightly cooler (from around 10-20 degree Celsius) for the rest of the time. Of course, the northern part of the country is totally different because of the Himalayas, but you don’t generally travel there throughout the year – there are specific seasons when you are advised to go there and seasons when travel is prohibitive because of the extreme conditions. Walking is the best way to explore any place in the world, and India is no different. Be it cities or country-side, hills or forests, a fulfilling travel experience involves a lot of walking. So the best travel shoes are the ones in which you can feel comfortable walking all day. There are a few factors that you should keep in mind when selecting your travel shoes in India. This is the single most important factor while making a choice for shoes – if you are not comfortable in a shoe, then don’t use it to travel. Also, preferably, pick shoes which you have worn before and not brand new ones because you are simply not used to it and you don’t know whether it will throw any surprises. Reliability is important because while traveling you generally take one pair of shoes and it is sometimes difficult to replace when you are traveling to not-so-famous locations. The best travel shoes are the ones which last you for years even after daily use. Adaptability to the terrain is important because when you are taking a hike or going on a trek, you don’t want your shoes to slip – or even you are traveling in the monsoons or in areas where the ground is swampy, you want your shoes to be waterproof and if you are traveling in extreme heat, you want your shoes to be well-ventilated. Last but not least is the budget. My wife has a tendency to become really frugal while shopping for shoes. I believe in quality over quantity when it comes to shoes, hence I prefer to keep a higher budget for shoes. A good pair of shoes is expected to ensure harsh weather, tough terrains and rough use, on behalf of your feet. For running shoes, I keep a budget of Rs. 5000-Rs. 8000 and take advantage of online sales. For flipflops and sandals, my budget is usually within Rs. 3000. Women’s sandals have more variety and prices increase with style and comfort. The obvious choices for shoes are running shoes because unless you are climbing up steep terrains or doing a trek with a high difficulty, you can depend on them to tick all the three boxes mentioned above – they are pretty comfortable, most reliable and can be used in generic terrains without the worry of slipping. For treks of moderate difficulty that we have done in India so far, a pair of good running shoes suffice. The good thing about working in the technology industry in India is that I can wear the same pair of running shoes to the office and still be among the better-dressed people (among people wearing flip flops and casual straps). The second pair of shoes that you should pack with you must be a pair of comfortable sandals, preferably with straps. Running shoes are the most reliable and adaptable category of shoes no matter where you go to. So this is the category where we’d like to invest and spend more money than on fashion shoes or flip-flops. 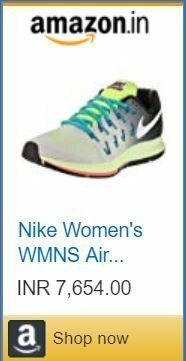 The best shoes in this range Nike Air Zoom range because it is extremely durable and at the same time very comfortable in high temperatures – an extremely cool feature is that the shoes are extremely light and you don’t feel tired when you have been in it for hours at a stretch. Also, it fits in the kind of not too expensive kind of shoe which lasts for more than 2 years of daily use. This is the shoes that I currently wear every day to my office, to treks and practically everywhere I go. Click “shop now” to see more options on Amazon in this range. 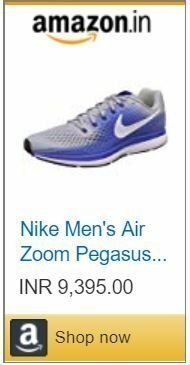 You can also compare prices of the NIKE Air Zoom Pegasus range on Myntra. The AirZoom Pegasus 33,34 or 35 are of the same price range and my personal favorites for both men and women. BATA is one of the world’s oldest shoe manufacturers in the world and they own a brand called POWER, which manufactures sports shoes which are pocket-friendly. But at the same time, these are extremely durable, flexible and also washable. The best feature of POWER shoes is their simplicity, they have never overdone it with heel supports like some other sports shoes and the soles have an extremely good grip. Also, some of these shoes are water-resistant if not waterproof because of the synthetic material used on the exterior. The only worry with POWER is that the lack of cushioning around the ankles can give you blisters on first use and so it is important that you don’t simply take a new Bata shoe for a long trip. Decathlon has a wide range of sports shoes. Quechua is a range of trekking shoes in the budget range. These are a bit too light-weight for my liking but come with good ankle-support and waterproof variants. Well, if you are not too worried about the budgets, then there are Shoes which can be all-purpose and can be used for all kinds of activities, be it hiking, trekking or running or just wandering aimlessly. The really good options are Adidas or The North Face which have specific shoes for the hiking range and they are extremely durable. However, proper trekking shoes like these can be a little heavy to carry around especially when you are wearing them for long durations. But at the same time, these are very well ventilated and you don’t sweat a lot. The North Face Ultra range provides great protection and superior performance for long walks and trekking. They are heavy enough to provide the additional support required for trekking but also comfortable enough for long walks. The Adidas Terrex for trekking range is the best option in the brand for travel in India. It was my latest whimsical purchase but I am loving it. Unfortunately, it is not available on Amazon India yet. However, you can get it from Myntra and Flipkart. With luck, you can get these at great discounts. Buy Adidas Sky Terrex Trekking shoes on Myntra or on Flipkart. Subscribe to Backpack & Explore to not miss any of the online sales. Don’t worry, I only send 1 email a week. Wherever you go in India it is always good to pack a pair of travel sandals. Imagine a road trip in the Western Ghats in the monsoon, or visiting a waterfall or to beautiful temples where it is mandatory to take off your shoes. They are not my favorite type of shoes but slipping into travel sandals is the best way to switch into the carefree mode. A well-crafted, comfortable and water-resistant pair of sandals has to be your back-up pair tucked in your suitcase or in the trunk of your car when you travel. Hush Puppies Men’s leather athletic sandals are the best sandal for traveling in Indian terrains. You can wear it while walking the swampy roads, hiking and even climbing. It also a great fusion of style and comfort. Sparx men’s Athletic and outdoor sandals are the best option in the budget range. Sparx positions itself as a youth brand and its designs reflect the latest fashion trends. a subsidiary of the Relaxo footwear Sparx produces some sturdy shoes of great quality. If you like to wear heels, choose something with a wider area and uniform slope. Look for sandals that cover a larger area of your feet, when you are traveling in Indian terrain. Floaters are a great option for women too as they offer the twin benefits of water resistance and good grip. Here are our top picks for travel sandals for women. BATA Women’s Fashion Sandals are my favorite travel sandals so far. Heels, slip-on, wide straps, cushioned footbed, and great support, it ticks all the criteria for a good shoe. I remember walking miles in those in the super-crowded streets of Kolkata during Durga Puja. The other one at a slightly higher price range is Mochi. Mochi has a great variety of stylish flats with a good grip. Mochi open-toed flats with covered heels and a thick back-strap. My heels tend to dry quickly and turn ugly, so I prefer this design. Shop from Myntra and Amazon. If you like this post, please share it with your friends and family who you think may benefit from this. Would love to hear your thoughts in the comments section and connect with you on Facebook, Instagram or Twitter. Save the post by pinning the image below. Have a great day!So this concludes our first post in the series “behind he travel scenes”. I hope you found them useful. Do note that we do not associate with any of the brands professionally and all opinions are our own, based on our personal experiences. If you buy anything from Amazon by clicking on the product links, we, as Amazon affiliate partners will be eligible for a small commission at absolutely ZERO cost to you. 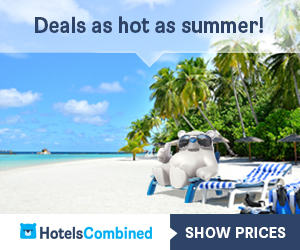 You will get the same discounts and benefits from these links as you would get otherwise. Thanks Sage.Glad you liked it. I know what you mean that shoes can sound boring but for those of us who love exploring, a good pair of shoes is the difference between a great exploration and a painful one! For me, comfort is king as I have some troubles with my ankles, knees and hips so I need to keep steady. Good walking shoes are so important for any type of traveler, and I enjoyed the rating system you put together here. It’s always good to have a pair of trainers and a pair of sandals for those hot temperatures like you described! Shoes are the most important part of my travel list. Perfect walking shoes are very essential and can make or break any trip. This comprehensive list is very useful to select the right shoe. It’s so funny. I am super frugal when I shop for shoes too, and I usually end up paying for being cheap. My feet are a mess by the end of a trip. I am going to take your advice and buy a quality pair next time. These are great recommendations, thanks. I definitely agree that you should focus on comfort when purchasing travel shoes. Though I must admit, I’m a shoe addict and love a cute pair of sandals/heels, what name you! The walking shoes you suggested weren’t to my taste, so I would recommend Tigers which are very comfortable and a little more fashionable. I also love a great slip-on sneaker that’s still fashionable and provides comfort. For sandals, I think the options you recommended for women were adorable! Thanks Martha. Personally I put comfort and reliability over fashion when it comes to travel. The slip-ons are great otherwise but when a daylong walking is involved in unreliable roads the knotted ones provide more support. I think I am gonna remember some of the important and relevant points whenever I will be adding a new pair of shoes in my closet. I totally agree when you say that shoe selection is very important for travelers. I really liked the way you talked about the terrain, reliability, budget and the comparative study. As I am definitely a walker, I understand how important it is to choose the pair of shoes you wear depending on the scenario you find yourself into. I also adopt a very similar approach and have few pairs of shoes ready to suit the scenario I shall find myself into. I’ve never heard of any of the brands you mentioned but I will look into them when it’s time to renew my shoes. Thanks Cato. You’ve never heard of Nike or Adidas? Nike Airzoom range is the most preferred range of shoes in most places of the world. Shoes are sometimes not put on as much focus on while travelling and I shiver to myself as I watched some people with heels negotiating a clearly hiking path. For me its comfort over style as far as shoes are concerned so thanks for highlighting it. I like that you put in the considerations in choosing a suitable pair for the travels. I really liked the way you have jotted down a comparative list of the brands and the various varieties of shoes. Bata is always reliable though they could do better with the colours. This is a really useful post and credit should go to you as well your spouse. Decathlon shoes are good but as you rightly pointed out, they are a bit on the heavier side. What a great post for people who have difficulties to choose what kind of shoes to wear when they are on vacation. Many of them bring the whole closet! The most important is of course that they have to be comfortable! I myself always have two pairs when I go to asia, my flipflops, sports shoes ! If I live the beach life, I can go barefoot everyday. 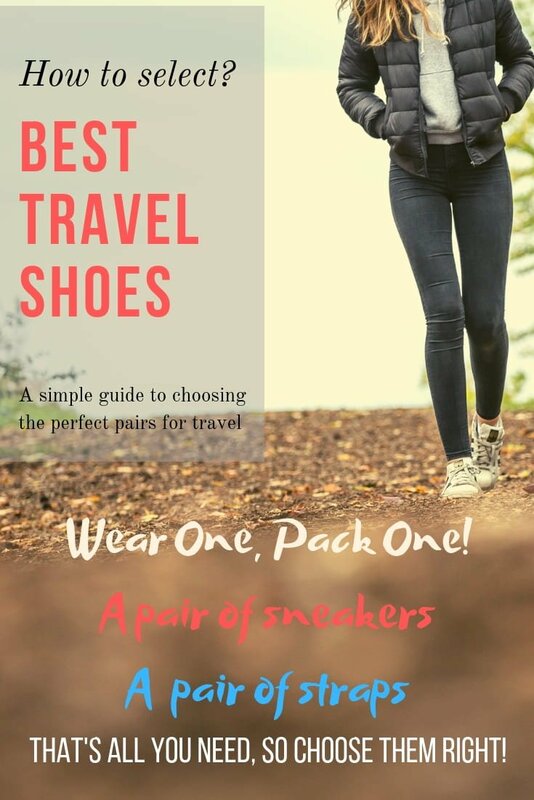 Great article on best travel shoes. We do a lot of walking when we travel and really need walking shoes that support our feet and last well. Sometimes we are doing above 10km per day and need reliable shoes, especially over cobblestoned streets. You have covered all aspects of what you need when purchasing the best travel shoes. I totally agree with your comment quality over quantity. THe North Face Ultra is a great solution for adventure lovers. I would choose it If I would be going to the very north of the country. As I was not going for hikes I spent there half a year with my sandals only and it was enough. Of course I bought dozen of shoes to bring home, as I love the designs of indian handicrafts. That’s an excellent choice. Yes the traditional indian designs are very chic, but they are not good for travel because of the thin soles. This is some great advice for buying travel shoes in India. I would imagine India is no different from any other country when it comes to pavements and roads. If you have to walk you need light but sturdy shoes. For me it’s always difficult to find the right shoes. That’s because I want them to be comfortable, but at the same time I want them to be stylish. Certainly, when you go hiking or on dirt roads, style doesn’t matter too much. The thickness of the soles is also very important. I can totally relate to you. I find Nike’s collection quite stylish too. Great guide on choosing comfortable shoes while traveling in India. I generally wear comfortable sandals in western and southern India as temperature here is hot and humid. Mochi and Bata is my favorite brand too. This might find it silly but I don’t know what to look for a travel shoes (party shoes I am all ears!). All I know is that my running shoes are okay. As long as it is comfortable to my feet, regardless of the design and label.